One of my most admired bands of the last ten years has released the tricky third album with an effortless smile, Painted Ruins by Grizzly Bear. At the turn of the decade, the landmark ‘Veckatimest’ perhaps marked the rise of the hipster, that and the rise of a number of intelligent and sensitive bands like Fleet Foxes, The National and The War on Drugs. This lead to the pacey yet organic triumph called ‘Shields’, with an accompanying outtake LP of B Sides available a year later. 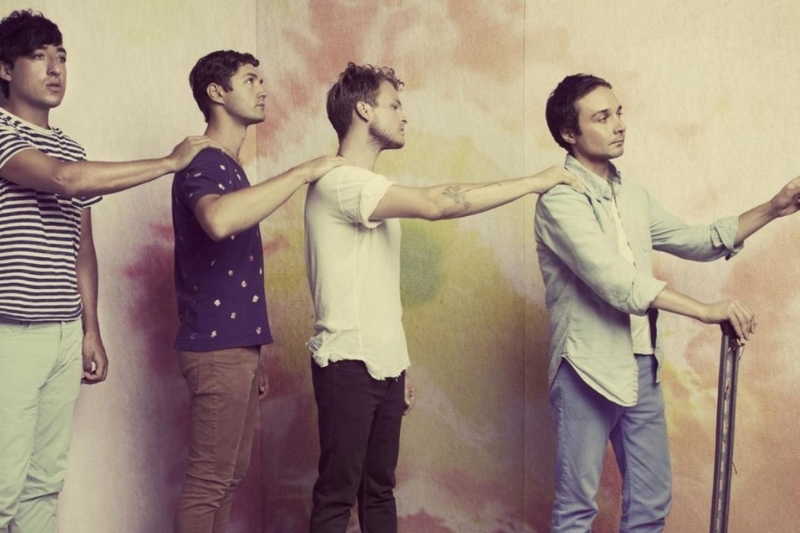 The wondrous thing about Grizzly Bear is the simply the musicianship. First to welcome you are those fabulous vocals, double tracked, drenched in spring reverb. The intonation and intimacy has been a trademark around which everything sits comfortably. The rehearsals that they must have gone through to get those harmonies sounding so smooth… it must have been relentless work, but how it has paid off. Next, those oh-so fantastic guitars. Grizzly Bear made a name for themselves in the guitar world by dropping the electrics to all manner of unusual tunings, a favourite being E A C# F# A C (from low to high strings) – you should give it a go, it’s very interesting and a great way of redifining your playing. There’s an ever-evolving mix of vintage instruments, unusual pedals and fabulous psychedelic sounds, packing literally into every track of this new album. It’ll take you by surprise and yet seem so right. The drums, the bass… the syncopated engine are just as tuned in as before. Antony Spencer and I always agree how The National are so damn good at intelligent rhythm and it is this confidence that the album is built upon. Soft, compressed, so economical and so ridiculously tight. This is an album for the intelligent ear. It’s an unforgettable combination of immense song building talent and experimental musicianship, by a band that refuses to conform, a band focusing on growing its own profound and expansive sound. Forget likening them to anything you have heard before, other than their previous incarnations of the first two albums, which I cannot recommend enough. The mixing is superb, the stereo field is alive, unpredictable and rich, the vocals vivid. If you walked in the door and sat down naively expecting some indie sing along, then I suggest you park your preconceptions and learn how it’s done by some world-class players. Some wont appreciate the constantly moving target of creative decisions the band take, but good art is never that straightforward.